SORRY NOW SOLD. MORE REQUIRED. 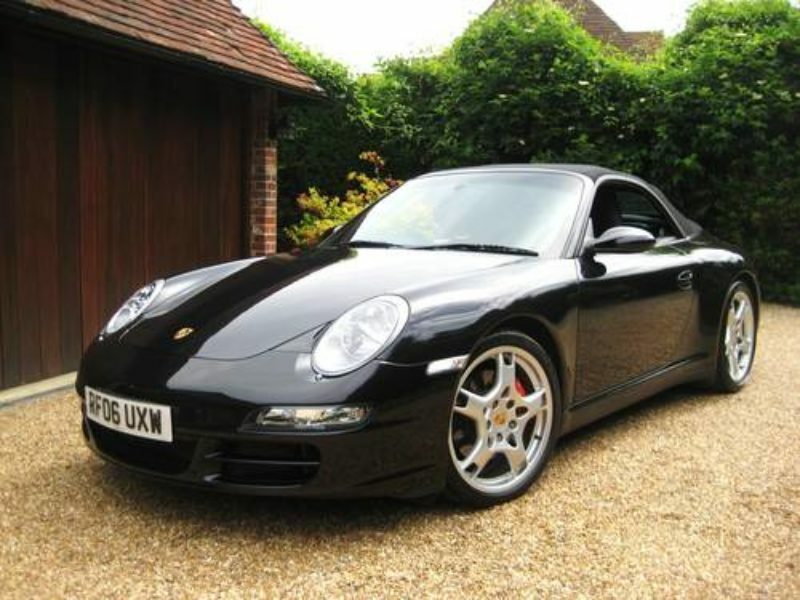 JUST 22,000 MILES & 1 P/OWNER FROM NEW. 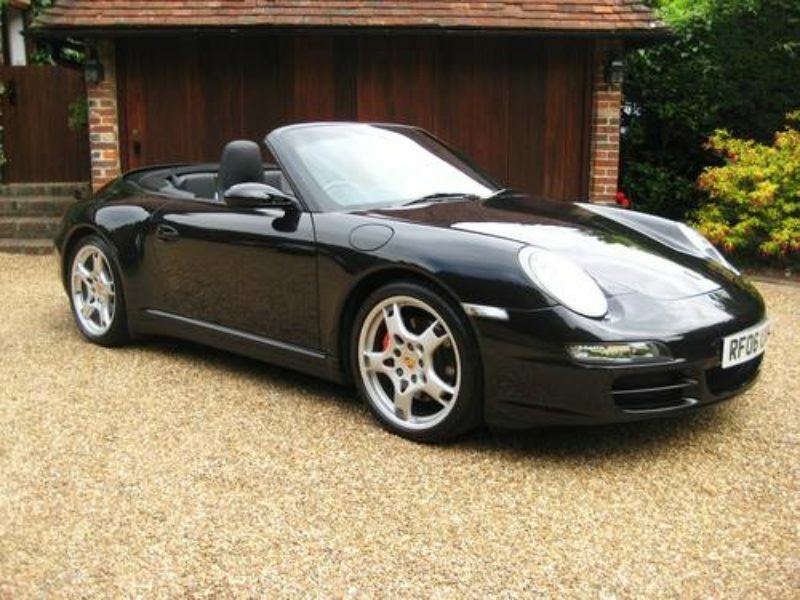 997 3.8 Carrera 4 S Convertible finished in Basalt Black Metallic with full black leather. 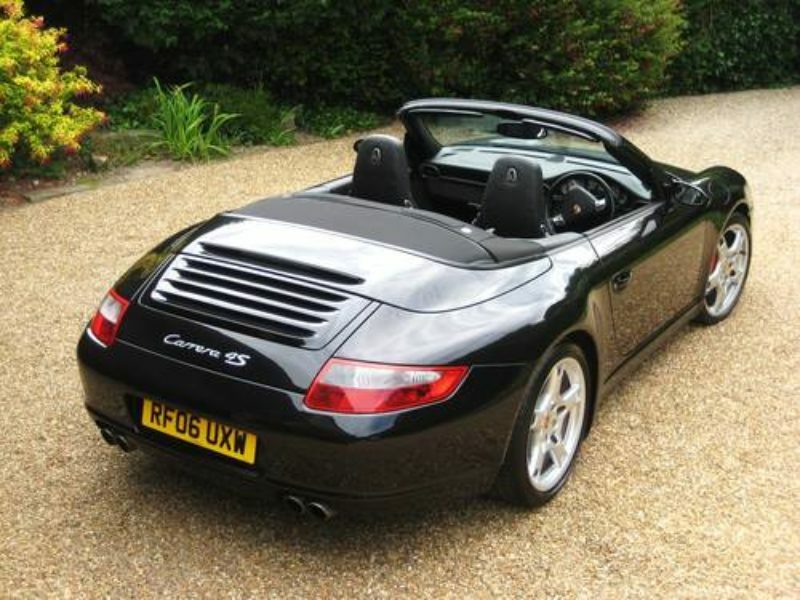 Specification includes PCM Satellite Navigation Module, iPod connectivity, fully electric seats with additional electric lumbar supports & driver memory settings, 3-spoke multi-function steering wheel in smooth leather, cruise control, auto dimming interior & exterior mirrors with integrated rain sensor, door entry guards in stainless steel, park assist (rear parking aid), totally unmarked 19″ Carrera S alloys with new matching Michelin Pilot Sport tyres, wheel centres with colour Porsche crest, wind deflector, fitted Porsche carpet mats, fitted tracker system etc. 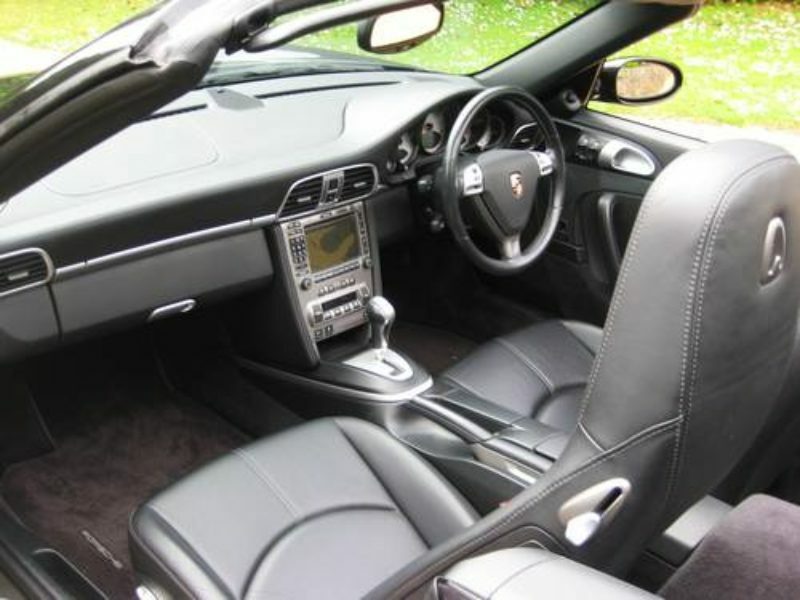 Supplied new by Porsche Centre Guildford in Surrey with full Porsche Centre service history + MAJOR SERVICE CARRIED OUT ONLY 200 MILES AGO by Porsche Centre West London. 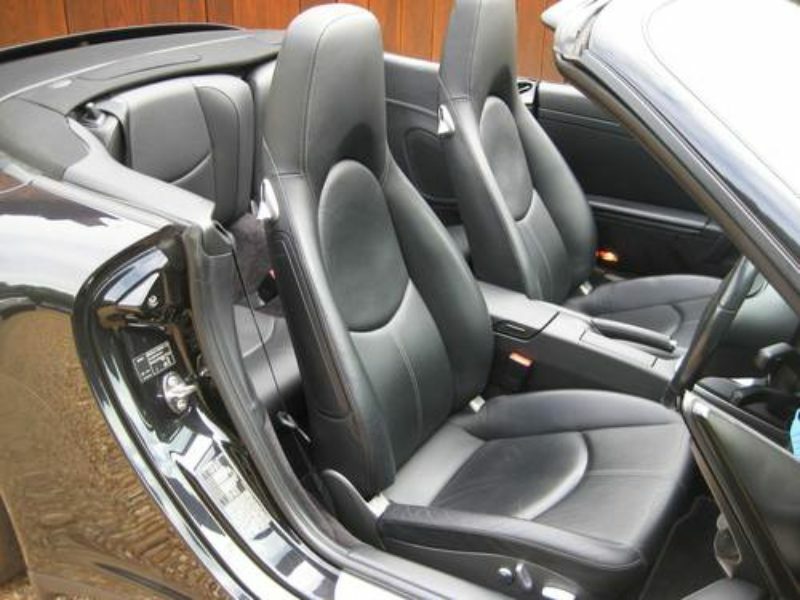 Complete with fully documented history file including purchase invoice + all supporting service invoices etc, driver’s book pack & both remote keys. 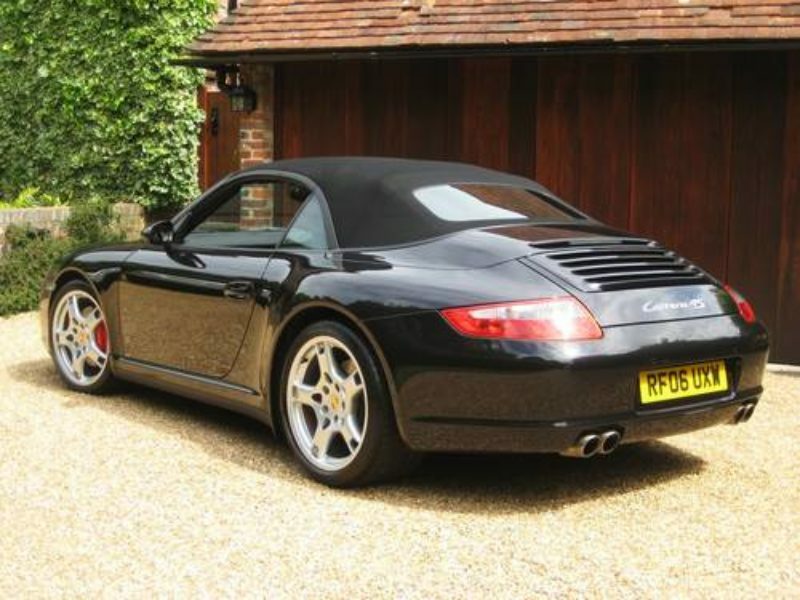 THIS IS AN ABSOLUTELY STUNNING LOOKING VERY LOW MILEAGE EXAMPLE HAVING BEEN TOTALLY PAMPERED BY IT’S LADY OWNER.